Access vast amounts of information and discover insights in minutes, not weeks or months. Experience that moment of discovery faster. Improve efficiencies and meet the governments mandate to do more with less. 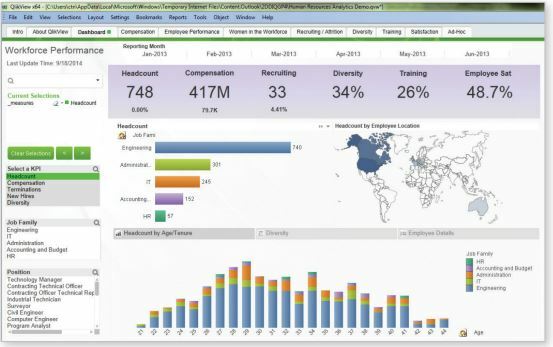 QlikView empowers Agency executives and staff to access to information in ways never before possible. The QlikView architecture allows for rapid consolidation and delivery of information, allowing Agencies to meet Administration requirements. With QlikView, Agencies gain insight in data, allowing them to plan, implement, and manage resources quickly and efficiently. Differentia Consulting are a Qlik Elite Solution Provider offering full life cycle services and complementary business discovery solutions. I consent to Differentia Consulting keeping the personal details I have provided to Email me Newsletters.